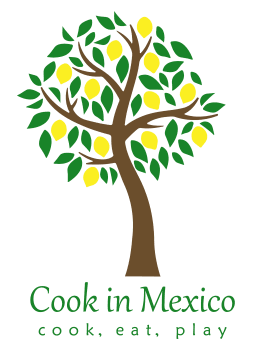 COOK: Join us in San Miguel de Allende for a week of cooking delicious meals where the local men and women are masters of their art…food! They will captivate you with their traditional skills and story telling in the kitchen. Our teachers use time honored recipes that were handed down from generations. This is the way Mexican men and women have cooked for centuries. It's nothing short of magical to see the kitchen come alive with fresh ingredients and unique personalities! EAT: After sharing time in the kitchen with new friends and your new skills we get to eat. We will sit around the table on patios, in gardens and sometimes in the kitchen and share the fruits, or peppers of our labor. We will dine on homemade tortillas, poblano pepper soup, fresh mole with chicken, cactus salad and much more! And of course no meal is complete in San Miquel without hibiscus tea and a cold beer! We will also visit the areas food markets and dine at renowned restaurants each day. PLAY: After all the food and beer we are ready to play…the San Miguel Way. We will walk the cobblestone streets, climb the ruins of Cañada de la Virgin, shop at local markets, visit art galleries, dance to mariachi music, see historic sights, and stop for fresh tortillas, local made chocolates, and taste local ice cream made with fresh fruit. We will see who can make the best tortilla, cook on a comal and grind on a molcajete. And of course who can roast a pepper on an open fire! Once an important stop on the silver route between Zacatecas and Mexico City, San Miguel de Allende has an air of tranquility about it, yet there is always something happening. The Jardin, or Garden comes alive in the evening with live music, dancing and local food vendors. In the historic center, there are over 2000 doors, behind which there are at least 2000 courtyards of various sizes. The town is noted for its streetscapes that rise and fall over the hilly terrain. With its narrow, cobblestone lanes, colorful homes and beautiful gardens, San Miguel provides a genuine view of Mexico. Named the #3 Best City in the World and the #1 City in Mexico, Central, and South America, it is a destination where you will enjoy great cooking, memorable meals, and unlimited fun! During the week we will take you to visit some of our close neighbors--ancient ruins, the Sanctuary of Jesus de Atotonilco, as well as local craftsmen who are masters of their art. And of course, we will give you time to relax under the Mexican sky by the pool, or the outdoor fire in our beautiful Casa Novem.